Tag Line: Everyone gets the Mark. It gives all the benefits of citizenship. Yet if getting the Mark is such a good thing, then why does it feel so wrong? Summary: Set in a future North America that is struggling to recover after famine and global war, Swipe follows the lives of three kids caught in the middle of a conflict they didn’t even know existed. United under a charismatic leader, every citizen of the American Union is required to get the Mark on their 13th birthday in order to gain the benefits of citizenship. What I Loved: Oh, where to start, indeed!? I don't want to reveal too much information about the world of Spokie, AU or whether or not Logan Langly gets the Mark or not, because this is a story that has to be revealed rather slowly, and secretly, if you catch my secret-spy drift. It's rare that I say this, but you are just going to have to trust me that SWIPE was a cling to the covers, don’t turn out the lights, stay up until the very wee hours of the morning, riveting story that remains with you after you’ve finished reading it for days on end kind of a novel, and one that I thoroughly enjoyed and will definitely be reading again in the near future (and I daresay that those words rarely come out of my mouth often!) 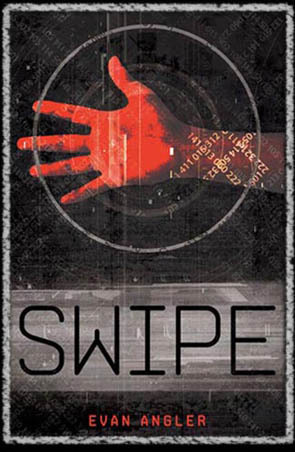 That said, I can't tell you much, but what I can tell you is that you NEED to read SWIPE! The characters (Logan, Erin, Dane, Hailey, et al.) had such a "real" quality to them, the description and writing by Mr. Angler was awesome, and I really enjoyed reading about a future North America/American Union and thought that overall it was a really unique action/adventure/mysterious take on future/end times/the Mark of The Beast from the book of Revelation seen through the eyes of 3 young people. I also loved that no character was secondary in this book. Every character has a defined or undefined purpose...as of right now that is. I'm hoping that SNEAK will fill in the blanks and answer some more serious questions about Logan's sister, the Dust, DOME, and will reveal what really lies in the city of Beacon and the lives of the characters as the story continues on. Evan Angler is safe, for now. He lives without the Mark, evading DOME and writing in the shadows of Beacon. As a kid he was quiet and well-behaved, having grown up in a town not unlike Spokie, where he enjoyed music, drawing, hover-dodge, astrophysics, hiking, virtual reality . . .
Evan Angler is the author of SWIPE. But if anyone asks, you know nothing about it, and you didn’t hear anything from him. Don’t make eye contact if you see him. Don’t call his name out loud. He’s in enough trouble already. And so are you, if you’ve read his books. Also, check out these other Team Novel Teen bloggers to see what they had to say about Evan Angler's novel SWIPE. Team Novel Teen is a group of bloggers dedicated to spreading the word about clean teen fiction. 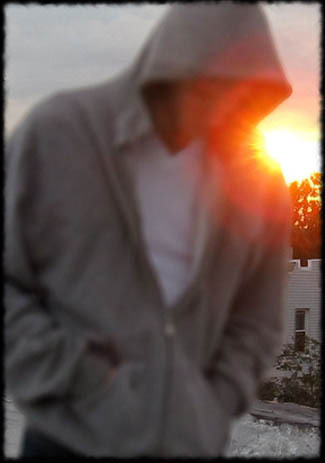 Check out other posts about SWIPE by Evan Angler by clicking on the links above, and check out www.NovelTeen.com for more information about Team Novel Teen. Note: In conjunction with the Team Novel Teen book tour, I received a free copy of this book for review. Great review. I love how you have everything set up on here, very eye catching. Remember on Goodreads how we were talking about the Mark of the Beast on the review there, well, yesterday, me and Mom were driving and she was read Revelation and was talking about some of the things she was reading and the Mark came up because she had read it a short while ago. So I told her about the book. Just found it interesting how close those two instances came together. Good review and keep it up! Thank you! Glad you like the set up! That's neat. I love having conversations with my momma about books and how they can sometimes tie into real life too. Great review! The characters are awesome! I agree! Totally with you can't wait for Sneak! Great review! Loved it! Great review. 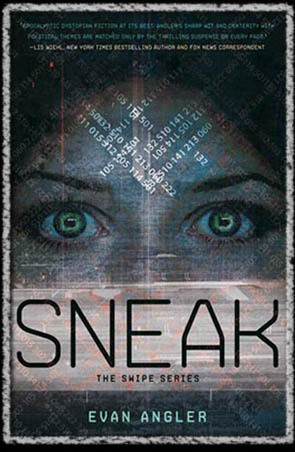 I also can't wait for Sneak! Whoo!